Alright folks, I usually don't say this kind of thing about a new band, so you can trust me. When it comes to The Secret Sisters, believe the hype. When you have folks like Jack White and T Bone Burnett producing your material before you have any recording or touring under your belt, there's bound to be loads of both hyperbole and criticism. Luckily for The Secret Sisters, real life siblings Lydia and Laura Rogers, their timeless voices and their incredible ability to blend them together rightfully earns the accolades and silences any naysayers. These ladies are the real deal and each vocal note and harmony line they sing further proves the point that they are worthy of your attention. When The Secret Sisters start singing, they effortlessly transport you back to a time of authentic music and simpler days. Refreshingly free of flash, pretense, or ego, these demure, southern girls from Muscle Shoals, Alabama let their singing do every bit of the talking. Using their album to bring some vintage country gems back into the spotlight, The Secret Sisters picked some big songs to fill. They do not disappoint with impressive covers of Hank Williams ("Why Don't You Love Me" and "House of Gold"), Buck Owens ("My Heart Skips A Beat"), Bill Monroe ("The One I Love Is Gone") and George Jones ("Why Baby Why") just to name a few. Alongside these excellent renditions are two originals as well ("Tennessee Me" and "Waste The Day"). 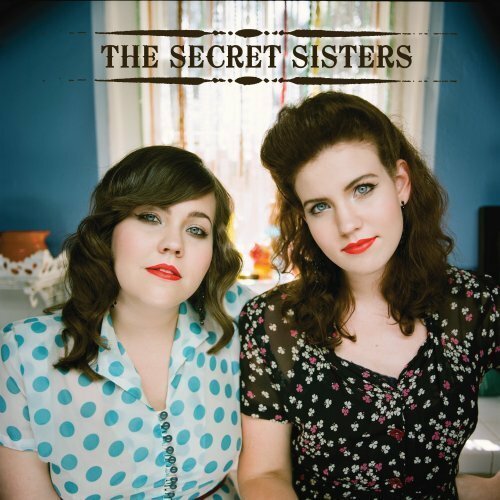 With each song, The Secret Sisters make their own stamp by blending their voices together in the kind of close harmony that is reserved for family singers. Their vibrant voices are framed perfectly with the sparse, eloquent instrumentation T Bone is known to create. Foregoing digital studio luxuries and modern equipment, The Secret Sisters recorded their album on to tape using old analog equipment and musical gear that was true to the time period they were looking to evoke. Laura and Lydia even recorded their vocals at that same time while singing into the same microphone to be able to capture there unique sound. The entire album is track by track solid gold with no filler and no songs worth skipping. Currently, my most repeated listens go to "Why Don't You Love Me" and "My Heart Skips A Beat." Ask me tomorrow and the answer might change, but if forced to decide, I think "My Heart Skips A Beat" is pulling ahead. There's just something about the character and playfulness in the vocals and they capture the "Bakersfield Sound" like few others have. I believe that this album will be one of those that has staying power long after the initial hype has waned and hopefully we will be hearing a lot more from The Secret Sisters in the future. Until then, pick up The Secret Sisters and you'll be able to enjoy their enduring vocals and the best classic country sounds this side of a mid-century Grand Ole Opry broadcast.